We were thrilled to be asked to install a VIP events space for the England Rugby Team and their guests at Twickenham, on behalf of Fentimans and Zeus Events, for the duration of the Rugby World Cup in 2015. Whilst the results of the tournament may not have been as we'd hoped, our cigar lounge themed area certainly hit the mark. This event used a classic, vintage, dark hardwood bar, with panelling adding real style. 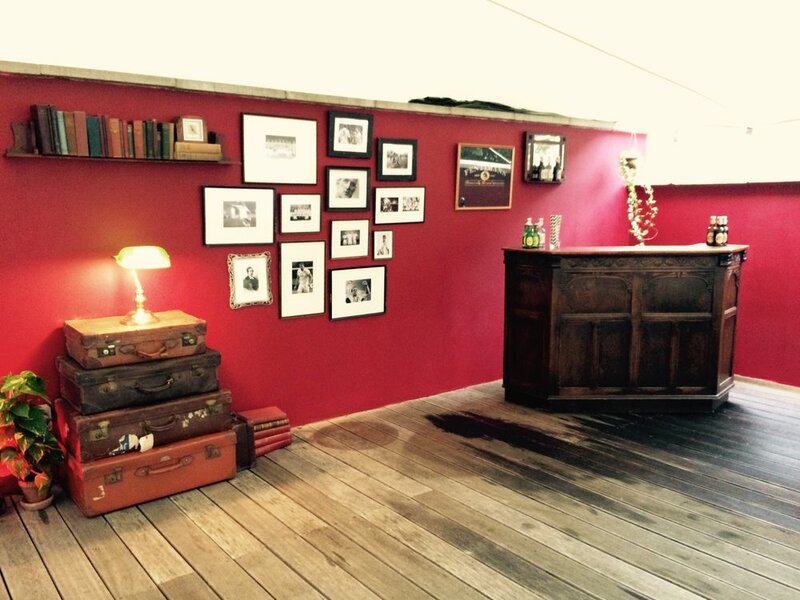 Bringing a warm sophistication to the outdoor venue, we painted the walls a luxurious deep red, before accessorising with vintage books and suitcases stacked to create side tables. For the finishing touch we created a gallery area, with revitalised vintage frames displaying pictures of the England Rugby team throughout the decades. For more information on the pop-up bars or events spaces we produce, do contact us at hello@quirky-group.co.uk or click here to learn more about our services.